We are Bromley Business Awards finalists! 03 Oct We are Bromley Business Awards finalists! 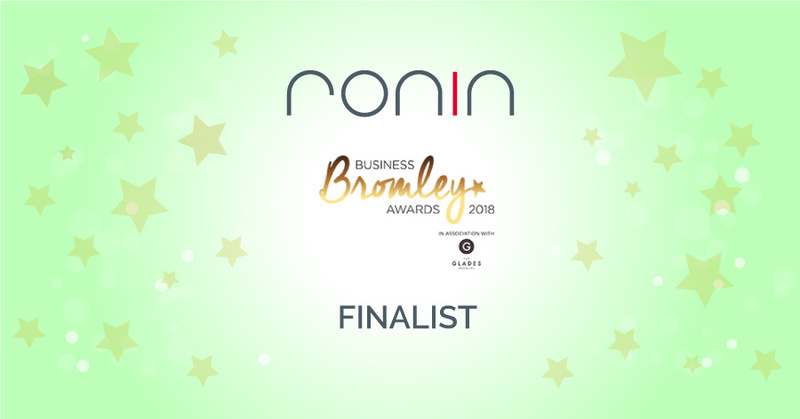 The RONIN team is thrilled to announce that we are finalists in the Bromley Business Awards 2018, under the category ‘Best SME’. We are delighted to have been recognised for our services to international, national and local companies, and would like to congratulate all the other Bromley businesses who have been shortlisted. Following a detailed, comprehensive application and entry form, the RONIN team drew on our creative, strategic offering to all our clients, our enthusiastic and dedicated co-Directors, Judith and Steve, and our support for Bromley businesses and clubs as some of our traits that we believe give us an edge. The Bromley Business Awards winners will be announced at a gala dinner on the 30 November 2018 at Oakley House, Bromley. We’ve started to dust off our tiaras, but to be honest we feel like winners already. Congrats once again to all the businesses who have made it to the finals! Find out how we get on at the Bromley Business Awards by following us on social media: Facebook, Twitter, LinkedIn and Instagram.